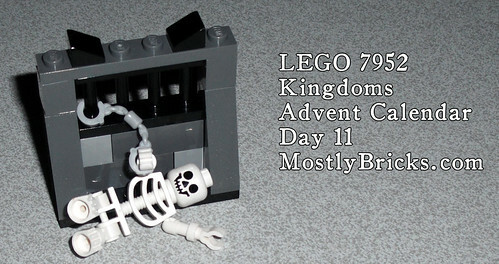 It’s Day 11 of LEGO 7952 Kingdoms Advent Calendar. Yesterday I mentioned that the skeleton would be making another appearance, and here you have it. What medieval themed LEGO set would be complete with a skeleton chained up in the basement? We have all of the previous advent calendar entries at our 7952 Kingdoms Advent Calendar gallery at flickr!